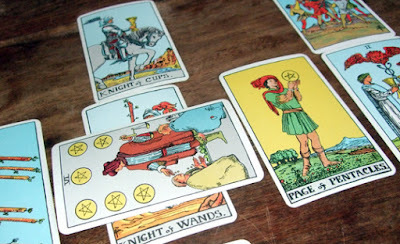 Fancy learning or improving your tarot skills in 2016? Treadwell's in London is running courses starting in January. One is run as a series of evening classes aimed at beginners and the other is an intermediate level one-day class. This eight-week tarot foundation course starts on January 13. The tutor is Sue Merlyn and the classes are on Wednesday evenings from 7pm to 9.15pm. The cost is £200 for the complete course. Learn to read tarot with a gifted experienced teacher. In an active class, you learn the mystical symbolism of the cards, the visual language of their codes and archetypes. By the end of the eight weeks course, students can do basic readings and use tarot in meditations. Includes practice sessions, homework, backup support and exclusive handouts. The classic tarot symbolism will be taught using the Rider-Waite Smith deck. Tutor Sue Merlyn will first do a recap of the card meanings, then there will be an engaging programme of practical exercises, meditations and discussion, all to enhance the psychic aspect of doing tarot readings. With your senses at their optimal, you will best be able see the patterns and message in a tarot layout in front of you. And you will have had a wonderful day.